ARRL Field Day Almost Here! Field day dinner will be Saturday June 24 at 5:30 PM. If you plan to attend please RSVP to facilitate the order with our caterer Jimmy John's! This year is very different Jimmy John's is donating (some percentage) to the Edmond Amateur Radio Club! If you help with setup/dismantle or make/assist with 20 contacts during the contest you can eat for FREE! Otherwise, a monetary donation jar will be available to support the club and its Field Day expenses. For those who are operating radios or helping in other roles we will also have Jimmy John's gourmet sandwiches available throughout the day and night! Woo hoo! And a huge thank you goes to Jimmy John's for the Party Platters and crazy fast delivery! radio community in the United States. east side of Lake Draper, Point 10, Area 2 on Saturday morning, June 24th. The City of Edmond needs you for their biggest event of the year! All hams can register as a LibertyFest volunteer, please fill out the 2017 Liberty Fest Volunteer Form. Thank you for volunteering! Anyone new to volunteer with LibertyFest will need to also provide their t-shirt size. Otherwise, re-use the same t-shirt from the previous couple years. according to American Radio Relay League officials. some 18 groups around Oklahoma have announced plans to operate from the four corners of Oklahoma. join over 1000 other clubs, using the callsign AJ5Q, according to Dale Town, N5VX, club president. 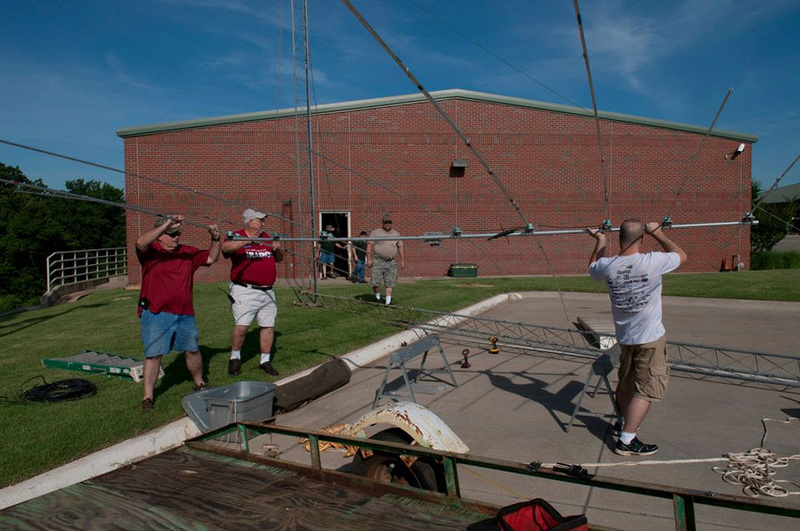 In Northeast Oklahoma, the Mayes County Amateur Radio Club will be operating WX5MC from the Whitaker Park in Pryor. In Southeast Oklahoma, N5CST will be inviting visitors to Wister State Park. participating in the Woodward area. 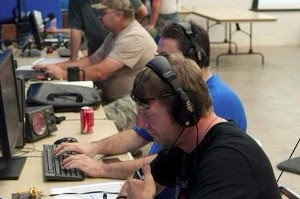 Broken Arrow Amateur Radio Clubs. link to the ARRL, the National Organization for Amateur Radio.